InterPrac has a strong tie to Australia’s foremost Tax Advisory body, the National Tax and Accountants’ Association (NTAA) and has been assisting their members for over 15 years. We have been endorsed by the NTAA as the recommended financial services partner for their members. We are committed to supporting NTAA members by providing a professional service experience, and cherish the opportunity and relationship we are granted when a NTAA member uses one of our services. 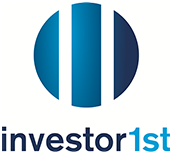 InterPrac Financial Planning has partnered with HUB24, the award-winning investment and superannuation platform to create investor1st. Their state-of-the art technology assists us to deliver a fully integrated service that helps InterPrac Financial Planning and our advisers track and better manage our investment and superannuation assets. The Diversa Group Life Pool operates as a registered managed investment scheme. Originally established in 1993, the Pool is a trust structure that provides insured benefits to Members under a Policy issued to Diversa as responsible entity of the Pool by the Insurer. Diversa has obtained a range of insurance features and benefits at a competitive cost that would generally not be available to you in your own right from an insurer. InterPrac General Insurance PTY LTD is an authorized representative (AR 441745) of PSC Connect Pty Ltd AFSL 344648. PSC Connect is a network of experienced and dedicated business insurance specialists who protect the needs of thousands of small to medium businesses across Australia and New Zealand. Based in Sydney, Australia, LAUW was established in 2005 to write Professional and Financial Lines business exclusively on behalf of Lloyd’s of London Syndicates, offering the highest level of security for clients. Australian Business Structures (ABS) is an incorporated legal practice that has provided legal and other documents exclusively to NTAA Corporate since 2004. ABS employs (or contracts with) qualified Australian legal practitioners, to ensure the preparation of all of our documents complies with the laws regarding legal practice in Australia. Baumgartner Superannuation has been the endorsed SMSF Auditor for the NTAA. Baumgartners adhere to the Australian Auditing Standards and the ethical requirements. Baumgartners pride themselves on their professionalism and integrity. Baumgartners have a system of quality control in accordance with ASQC 1 and gain valuable insights through representation of the National Tax and Accountants’ Association on the ATO Superannuation Consultative Committee’s Auditor Working Group. McGing Advisory & Actuarial (MGAA) is a boutique consultancy led by Sean McGing providing a personalised consulting service to directors, senior leaders and executives, and their support teams.